Stamps in Spring Blooms Post and Go Bureau pack also reprinted. We reported that the Union Flag Post and Go Bureau Pack had been found with reprinted contents, the stamp being from the RM2 machine with a revised font for all text. The Spring Blooms Bureau Pack (16) has also been found with stamps from RM2. 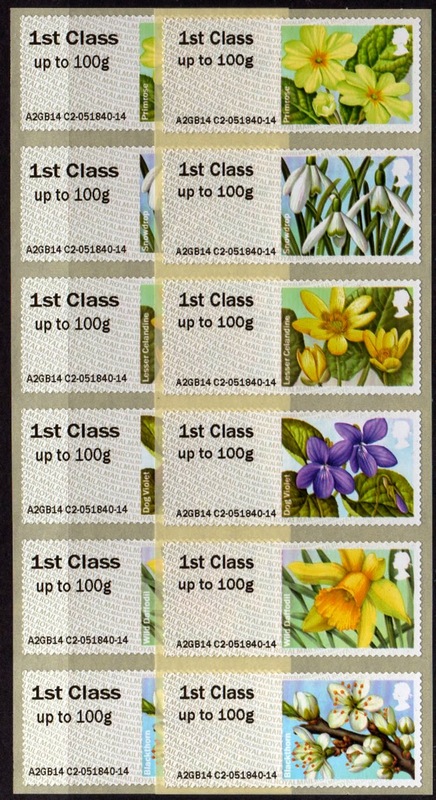 The change did not affect Symbolic Flowers or later packs which were all printed on RM2 machine C002. Both packs are available on our webshop while stocks last.